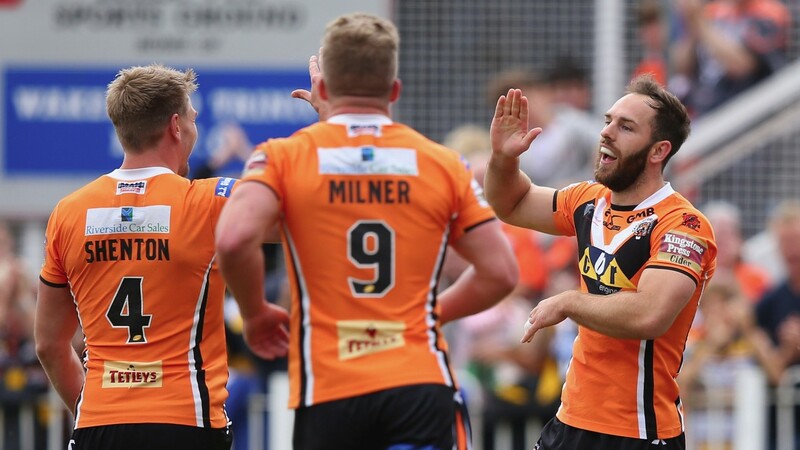 Castleford have been the best-backed team in the build up to Super League XXII and the Tigers kick off their campaign at home to newly-promoted Leigh. Boss Daryl Powell reckons facing the Centurions is the toughest of opening tests but bookmakers disagree and make his team 2-7 to get off to a winning start. The visitors, playing their first top-flight match since 2005, are 4-1 to spring a surprise and receive 12 points on the handicap. Neil Jukes’s men defeated three Super League teams in last season’s qualifiers and have strengthened their side since then with former Australian international Glenn Stewart the headline arrival. Leigh are also likely to give debuts to former Tigers pair Ben Crooks and Ryan Hampshire and while an away win is unlikely, the Centurions can be expected to be competitive on their return to the big time. Castleford’s home record was surprisingly poor in 2016. They won just seven of their 14 league games at the Jungle and they will have to work hard to justify odds-on quotes. Zak Hardaker makes his Tigers debut following his loan move from Leeds and the England full-back is 13-2 to be named man of the match. However, the best bet may be to back Cas to get home by a dozen points or fewer at 2-1. Whatever the outcome, points seem almost guaranteed. Castleford’s matches averaged almost 55 points last season and Leigh’s games against Super League sides in the qualifiers averaged 59. Elsewhere, it’s interesting to see Widnes chalked up as four-point underdogs at home to Huddersfield. The Vikings sold star man Kevin Brown to Warrington in the off-season and are missing injured scrum-half Joe Mellor but should they really be underdogs against a Giants side who finished rock bottom a year ago? Most of Huddersfield’s winter recruits arrived from a Bradford team that finished fifth in the Championship and it’s surprising to see the Giants rated so highly for this assignment. Widnes won the corresponding game 24-20 last season and can make the most of the four-point buffer handed to them by Coral.